What Is Almond Amaretto E Juice Like To Vape? Vaping almond amaretto in higth vg or high pg tastes like a sultry, distinct and sweet almond flavor with subtle cherry undertones. It creates a velvety sensation with it's silky smooth vapour that covers the tongue and takes hostage all your taste buds. The dreamy, creamy almond alcohol flavour is potent on inhale and exhale. Is Vaping Almond Amaretto Vegan & Vegetarian Safe? 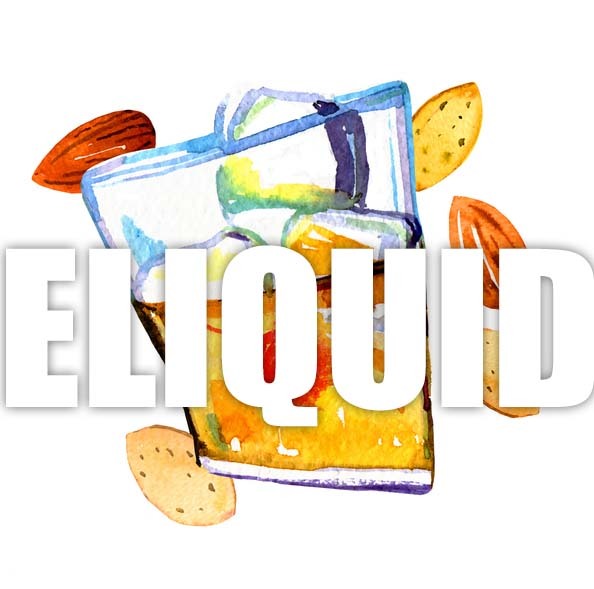 Our dessert e liquid is gluten free and suitable for vegetarians, and vegans. You can rest assured when purchasing this e liquid flavour that it contains only the purest ingredients.